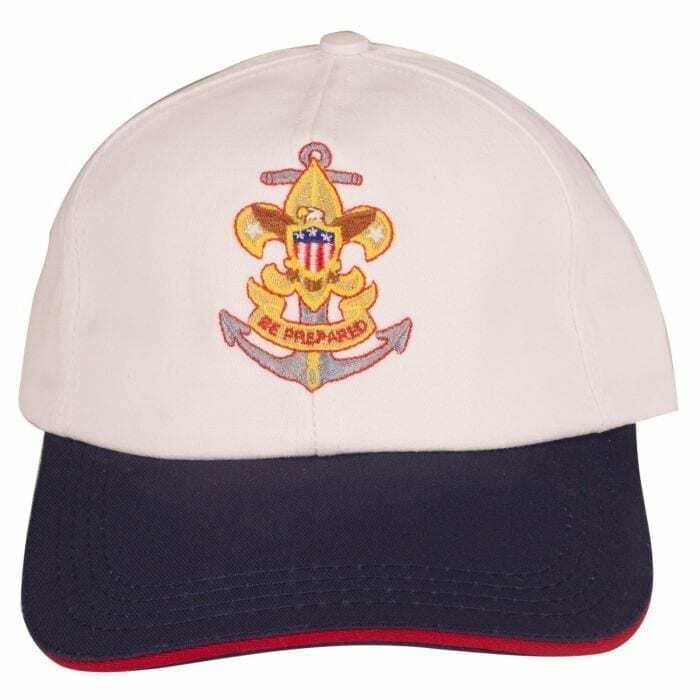 Traditional six-panel cotton twill cap with a white crown and navy blue with red sandwich visor is richly embroidered with the full-color Sea Scout logo. Adjustable cloth back strap. Not an official uniform cap.